Mark Morelli lives and writes in Cuyahoga Falls, Ohio, where he has lived with his wife and two daughters since 1999 after relocating back to his native Ohio following five years in New York and New Jersey. Mark began writing fiction at a young age and continued as he studied literature at Youngstown State University while working as a disk jockey and broadcast copywriter. During this time, he wrote some of the stories that appear in his 2013 fiction collection, When My Life Was Fiction: Stories 1982-1993. Mark married Lisa Sferra in 1988, and returned to school to earn an M.A. in Literature from Wright State University in Dayton, Ohio. His thesis, a cohesive collection of short stories examining small town life, The Wet Black Streets of Zoalmont, contain more stories that are also included in When My Life Was Fiction. Also in 1988, while still in graduate school, Mark began writing and publishing PAH!, a 'zine of humor, satire and political commentary. The first issue contained "fake news" like on Saturday Night Live's "Weekend Update," and later, The Daily Show with Jon Stewart. Mark pinned early issues on bulletin boards across campus and, when a student read the political humor and furiously tore it down, Mark could not have been prouder. PAH! rode the wave of the 'zine craze in the late eighties and early nineties, just before the rise of the internet. Because of complimentary reviews in Factsheet Five and other pop culture magazines, many readers around the world subscribed. PAH! caught the attention of Steve O'Donnell, head writer for NBC's "Late Night with David Letterman." O'Donnell praised the publication and invited Morelli to submit comedy to the show to be considered for a staff writing job. While Mark did not land the position, he was inspired to continue publishing the 'zine. Much of what he produced for PAH! was reprinted by a wide variety of publications, from newspapers such as The Plain Dealer and the Cincinnati Enquirer to the satirical Cracked magazine and Paul Krassner's The Realist, to the spiritual Commonweal, Family Digest and The Liguorian, and even specialty magazines including National Gardening, Balls and Strikes and others. Another early subscriber, author William Zinsser, praised the little publication and encouraged Morelli to keep writing, as did Sam Cucchiara, an editor of the literary magazine Slugfest, LTD, which published Mark's fiction regularly for the next few years. One contributor to the magazine, TV host Judith Lindstedt, commissioned Mark to adapt his short story "Armand Hates Tea" for TV, which she produced and aired on her Boston-area television program "FATV." After completing the M.A. in Literature, Mark's fiction writing slowed down. Instead, he composed essays and articles for Cleveland area publications while teaching writing classes at Kent State University. He would go on to teach nearly fifty college writing classes. Mark and Lisa welcomed the arrival of daughter Olivia. After a brief stint as a reporter for a daily newspaper The Record Courier, Mark accepted a marketing communications position for John Wiley & Sons Publishing in New York City. By this time, Mark completely stopped writing fiction and was just trying to keep up with working in New York, commuting to their new home in River Edge, New Jersey and all the other obligations of young family life. Among Mark's most satisfying projects, however, was helping to found and write a simple church newsletter, The Net Worker, for St. Peter the Apostle parish. Because of this, Mark met and wrote about people whose faith helped to revive his own. Mark accepted a new position as a quiz game writer for Interactive Imaginations, Inc., a pioneering internet company that was part of the first great dotcom boom. With offices in the "Silicon Alley," an area surrounding 23rd Street and Broadway in Manhattan, Mark cranked out thousands of trivia questions for a website called Riddler.com. Meanwhile, Mark and Lisa's second daughter, Julia, was born in Hackensack, New Jersey. The dotcom boom busted, Mark lost his job, and so the family determined that after five years the time was right to return to Ohio. Mark accepted a semester position teaching writing classes at Cuyahoga Community College in Cleveland, then returned to a marketing career in advertising agencies, creating print collateral, web sites, videos and other marketing materials for clients of all kinds, including prominent roles in local political campaigns. View Mark's creative & copywriting samples for traditional and emerging media. All during this time Mark continued writing PAH! which transitioned from a print to online publication, garnering recognition in magazines and books. 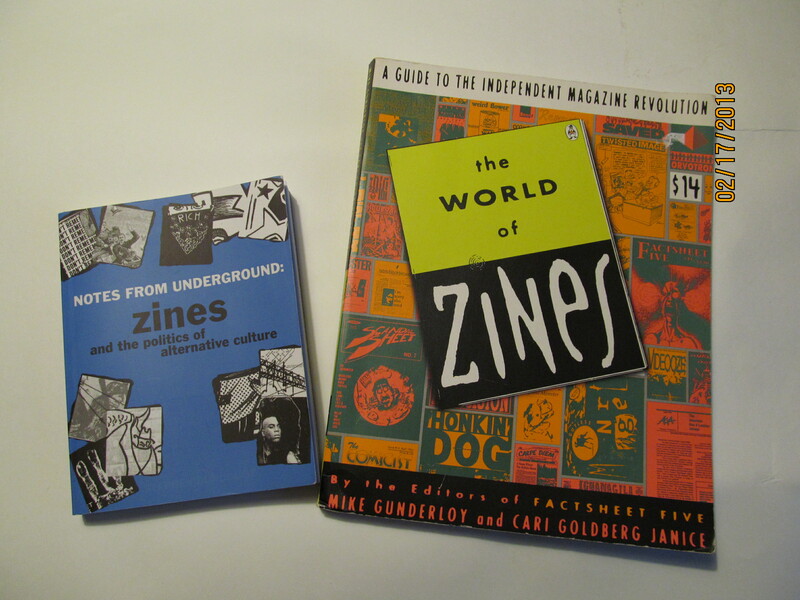 The World of 'Zines: A Guide to the Independent Magazine Revolution, by Mike Gunderloy and Cari Goldberg Janice, called PAH! "excellent humor and tongue-in-cheek asides (like trying to cope with Christmas commercialism at a time that should be reserved for Rudolph specials) from a truly inspired mind." In his 1997 book Notes from Underground: 'Zines and the Politics of Alternate Culture, Stephen Duncombe observed: "PAH's Mark Morelli writes, describing how 'zines opened his eyes to "just how many people -- diverse and weird and vulgar and solipsistic and brilliant and funny and indulgent and angry and inventive and so on -- are out there still placing their faith in the written word. And although I've never met any of them personally, I share the correspondence of their 'zines, which we all giddily delight in calling a club of our own." Morelli's social and political satire in PAH! was also lauded in Ken Gelder's The Subcultures Reader and Hillel Schwartz's The Culture of the Copy. After 20 years and 200 issues -- meeting new friends and publishing in new places -- Mark wrote the final issue of PAH! in 2008. 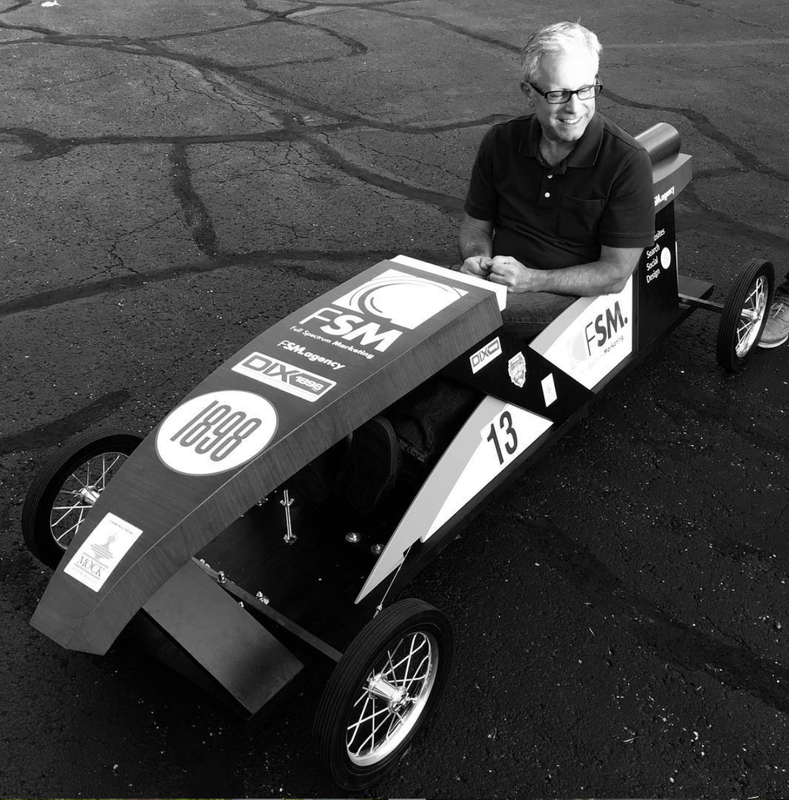 From 2005-2008, Mark contributed a monthly column "Rearview" to online magazine Halfsquare (for that time in life when you're caught between being cool and being square.) Halfsquare was produced by Eric Hancsak, founder of the visual business solution firm About350. The best of "Rearview" was published in the spring of 2015. 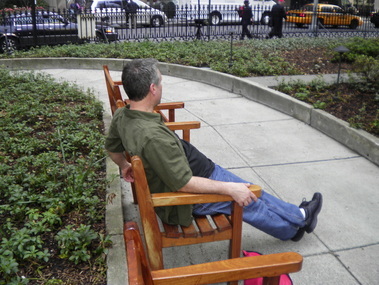 Mark's lifelong interest in meditative living led his writing and study down a new path. In an exercise of self-exploration, Mark became a wedding officiant and enjoys listening to couples in order to weave their love stories into warm, sacred and funny marriage ceremonies that Mark leads. He also co-wrote lyrics to several songs performed by Cleveland band Denison Flood. Inspired by James Thurber, Charles M. Schulz, Charles Barsotti and other minimalist cartoonists, Mark makes art part of his conversations. He looks for inspiration in every encounter and admires his friends' talents. He has also co-edited books by e-commerce expert and speaker, Kenneth J. Weiss. For the first time in years, Mark read again the fiction -- some published, most unpublished -- that he wrote in the past. He gathered the best of these stories for his 2013 book When My Life Was Fiction: Stories 1982-1983 published by Burtenshaw Media and retitled Tales of Zoalmont and the Melancholy Fringe for its 2nd edition in 2014. A book of previously-published but uncollected essays Effwords: Faith, Family, Fatherhood and That Other One was also published in 2014. 2016 brought the publication of Rearview, a collection of columns written for the culture and arts publication Halfsquare.net and the launch of a new satirical blog, Earth to Mark. Me, Woodstock, Snoopy and the universal message.